Take a tour of an Antebellum home rich in history, or take in a comedy while enjoying dinner with your date. 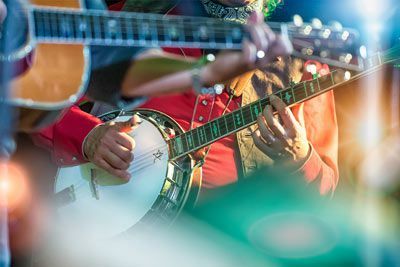 Hear live bands playing blues, rock, country, gospel, jazz, or contemporary Christian. Throughout the city, small dives hidden away from the limelight showcase Nashville’s true legends – songwriters. Every night the music scene in Nashville is vibrant and contagious. Fans rush to get a seat in the clubs while the latecomers crowd the walls and dance floors. By late evening, the clubs are alive and rocking, and there are still many hours left before the clubs close. 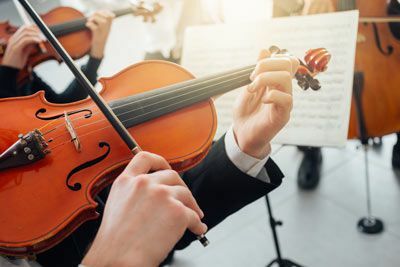 Let Chopin and Mozart carry you away as you watch the Nashville Ballet or listen to the Grammy-nominated Nashville Symphony. 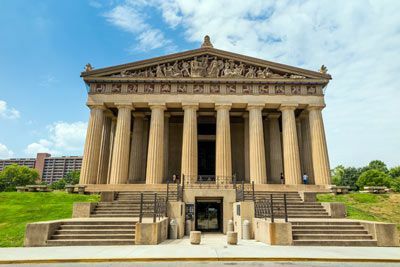 Take in a performance of the Nashville Opera or enjoy an off-Broadway performance at the Tennessee Performing Arts Center. Beyond the great sounds is shopping. Posh boutiques, guitar stores filled with instruments, chic clothing and fashionable shops – Nashville’s shopping scene covers the gamut in style and appeal. When hunger strikes, Nashville’s plate has many unique options to tempt your taste buds. Known for “meat and threes” and zesty barbecue, Nashville also specializes in New Southern and Southern fusion, a blend of down-home cooking and uptown dining. Take the kids to explore the Adventure Science Center, Cheekwood Botanical Garden and Museum of Art, Fort Nashborough, Bicentennial Capitol Mall State Park, Nashville Zoo at Grassmere, or Valley Amusement Park. For the sports fan, Nashville boasts three professional sports teams as well as Busch and Indy series car racing. Nashville is surrounded by lush, rolling hills and sparkling blue lakes. Walk 18 holes on Nashville’s five resort courses or eight public golf courses. Ride amusement park rides or slide down Tennessee’s largest waterslides. Rent a jet ski for the day or just cruise upon the world’s largest showboat. When it’s time to unwind, enjoy a day of pampering and relaxation at one of many great day spas. 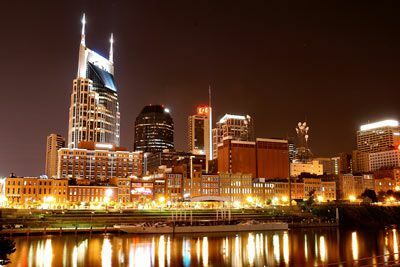 Escape to the Music Capital of the World at Renaissance Nashville Hotel. Enjoy perfect location within walking distance of premier downtown attractions, including B.B. King's Blues Club, Country Music Hall of Fame, Ryman Auditorium and the historic Second Avenue District. See NFL and NHL action at nearby Nissan Stadium and Bridgestone Arena. 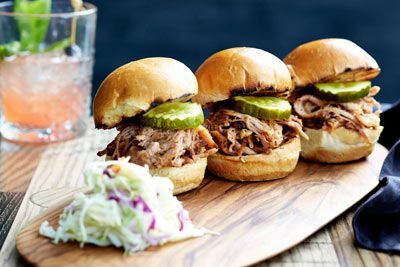 After an eventful day in Music City, sit down to Southern favorites at Commerce Street Grille or sip a specialty cocktail, while watching the big game on eight 60-inch HD LCD televisions. 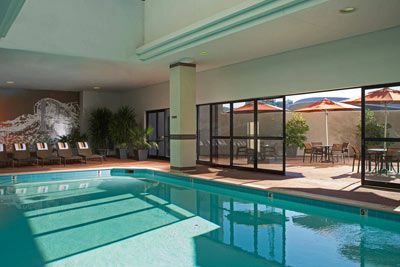 Guests can enjoy a refreshing dip in the indoor heated pool and whirlpool, or stay fit in the fitness center. Embrace total comfort in spacious rooms and suites, well-appointed with deluxe bedding, and amenities such as LCD TV, alarm clock, coffee maker/tea service, mini-refrigerator, hair dryer, iron/board, safe, and more. 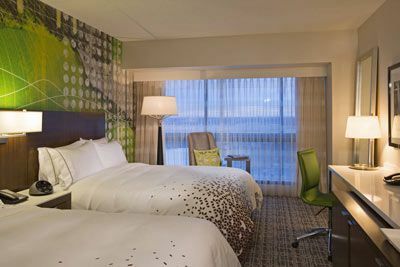 Discover one of America's top travel destinations at a unique downtown hotel that makes your comfort a top priority. 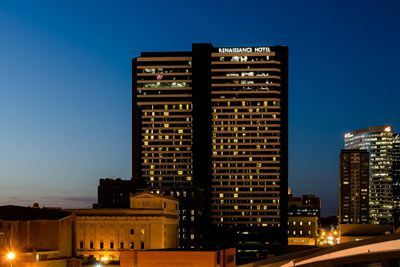 The Renaissance Nashville Hotel is located approximately 8.4 miles from the Nashville International Airport (BNA). Valet Overnight parking is approximately $40 plus tax, per night. Parking rates are subject to change without notice. The A. Webb Roberts Center for Continuing Medical Education of Baylor Scott & White Health designates this live activity for a maximum of 24 AMA PRA Category I Credit(s)™. Physicians should claim only the credit commensurate with the extent of their participation in the activity. Approved by the American College of Emergency Physicians for a maximum of 24.00 hour(s) of ACEP Category I credit. Certified Registered Nurse Anesthetists: This program has been prior approved by the AANA for 24 Class A CEC; AANA Code #1037214; Expiration Date 6/23/2019. Physician Assistants: The American Academy of Physician Assistants (AAPA) accepts certificates of participation for educational activities certified for AMA PRA Category I Credit™ from organizations accredited by ACCME or a recognized state medical society. Physician assistants may receive a maximum of 24 hours of Category I credit for completing this program. $100 April 21, 2019 to May 21, 2019. No refund after May 21, 2019; however, 50% of tuition paid may be applied toward tuition for another NWS program within the next 12 months. Cancellation must be made in writing.